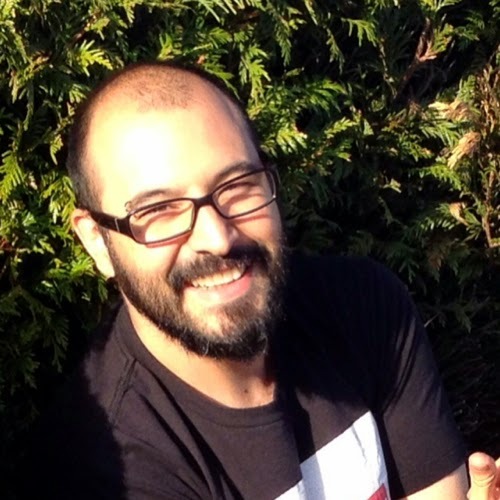 We'd like to welcome AnimSchool Graduate Jorge A. Martinez Teran. Tell us a little about yourself, what is your background? How did you get into character animation? Growing up I knew I wanted to have a job where I could create things for people to appreciate and enjoy. I tried traditional painting and some sculpting when I was a teenager, but eventually the thought of getting a bit more profit from my skills put me on the path to become a graphic designer, where I got a good foundation of Art and Design. As for how I got into animation, I think I would need to blame my parents. It was an unintentional indoctrination process. Every morning in order to get me ready for school they would wake me up and put VHS tapes with cartoons to get my attention. From Disney movies to good old Looney Toons cartoons, and some crazy anime, most days would start with a cartoon. I've met friends that have similar interests and love for animation, and we've always had the idea of developing our own web cartoons, but it was more of a hobby back then. It has never occurred to me I could make a living out of it since there were not a lot of opportunities to work in animation in Mexico at that point. One day at university walking through the halls, I saw a poster saying: "Get a career in Animation! Come study 3D Animation in Vancouver". And BAM! It hit me right there. I had to give it a shot. A year later, with the help of our families, my friends and I jumped on a plane to Vancouver to start our animation journey. After an intense year, I finished a short film that landed me some interviews and got screened at a small film festival in Oregon. From there on I had the chance to work in a couple more short films doing visual effects and character animation. I enrolled in the AnimSchool program to become a better artist and I landed my first studio job right before starting on Class 7 at AnimSchool. Are you currently working in the animation industry? What is your job there? Tell us about it. Yes I am! I work as a Senior Animator at a studio here in Vancouver called Nerd Corps where, if we are not fighting with nerf guns, we make TV shows for kids. I'm currently working on the new Max Steel TV show. From an animation point of view, That show provides great opportunities to try different styles of animation. On a normal week I could go from working on emotional serious acting, to quirky comedic acting, to a full on fighting action sequence. There is always something fun and interesting to work on. Before Joining Nerd Corps I had the opportunity to work as a freelancer doing some visual effects, motion design, and character animation on some fun independent short films like “Overboard: At The Helm Of An Animation Crew” and “Be The Snow” that have been hitting some Film Festivals here and there during their festival run. "Overboard: At The Helm Of An Animation Crew"
In what ways do you think AnimSchool has helped you to be a better animator? What was your journey like? I enrolled on AnimSchool after a period where I felt my animation skills got rusty and I reached a plateau. 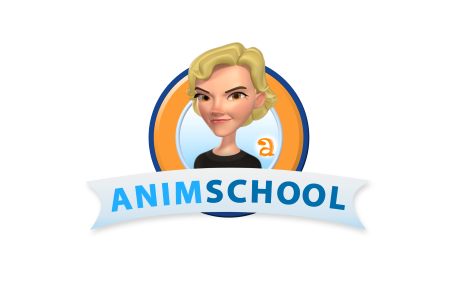 Even though because of my background I could have the chance to skip a class, I decided to take the full course and start from scratch, that would give me the opportunity to learn from more instructors during my journey through AnimSchool. And it was probably the best decision I could have made. It was during that year and a half at AnimSchool when I truly understood performance, appeal, and how to push myself creatively to find the best acting choices. This also helped me develop a good workflow and an eye for animation. The process also allowed me to get better at giving and receiving constructive feedback. Any particular tip or advice from an instructor that particularly stuck with you? “Animate within the pose”, That advice was mentioned a couple times during each term, and it’s something I try to live by now. It's a common occurrence for starting animators to over-animate their shots and make the characters move all over the place all the time for fear that their shots might feel dead or too simple. It's a hard thing to do, but once you do it, you find so many other subtle ways of keeping your characters alive. One more thing that got stuck is something that Rahul Dabholkar mentioned; he learned it from one of his colleagues at Disney. I don't remember the exact words but it goes something like this: Every shot has a special moment that will make it shine, if you can find that moment and emphasize it, it will make the shot amazing. What's the best part of online education? Learning from industry experts from the best studios around the world is great and you learn so much, but I would have to say the best part of online education is the community. You become part of a big family, and even if you haven't met in person, you know every single one of them will do their best to help you grow as an animator, giving some feedback on personal shots, and help you get opportunities in the industry. Or, you know, go out for a meal and talk about animation if you get the chance to meet them in person. What part of the animation process do you enjoy the most? I really enjoy every part of the animation process, planning a shot is always fun, exploring acting choices and shooting reference is a nice challenge. Blocking is where I put most of my time getting the timing right and pushing my poses over and over. But, when I really get in the zone, is when I start polishing a shot. I can easily lose track of time bringing the characters to life. What type of animation inspires you? There are some amazing animated shows and movies out there that it would be impossible for me to choose just one type. From the jaw-dropping stop motion animation from the guys at Laika, with their beautiful and refreshing movies, going all the way to the hand drawn 2D fighting sequences from Avatar The Last Airbender and The legend of Korra. In 3D, I favour the cartoony style of Sony's Cloudy With a Chance of Meatballs and Hotel Transylvania, it's so appealing and every shot looks like it would be a ton of fun to animate. Moving on to more realistic VFX animation, I love creature animation. Believable weight, power, and great physicality are things that I love to focus on, and hope to fully master as I keep animating. Pacific Rim and the new Godzilla are two movies that keep coming to my mind every time I think about VFX animation. How do you see yourself in 5 years time? I definitely see myself animating on feature films, I don't know if it will be an animated feature or doing some creature work on a live action movie. Right now I'm still undecided on what path I want to take. I love acting shots, but the challenge of nailing an action shot is so rewarding... I want it all! I have also considered, after a couple more years of experience, that I would like to start teaching animation too. Any hobbies, sports or other activities that you would like to share with us? Scuba diving. It’s the closest thing I know to an out of this world experience. It’s relaxing and very exciting at the same time. A good way to stay in touch with nature. Also, I recently started practicing bouldering with some friends from work. Great workout to strengthen your arms after working all week on the computer, my forearms have been feeling great after a couple of times. No more computer pain. Our goal is to do some outdoor climbing soon. Any quote to get yourself motivated? I really like the part when Dory is trying to cheer Marlin in Finding Nemo. After the mask fell into the deep and she says: "When life get you down you know what you got to do? Just keep swimming, just keep swimming, just keep swimming, swimming, swimming". That song comes to my mind every single time something goes wrong, and it always keep me going no matter what. The more I get involved in the industry the more I keep thinking I want to be an Animation director one day. Working with the directors at Nerd Corps has been great, I'm learning so much from them and the way they approach the shows. Also, every time I give feedback or I receive feedback from coworkers is a great and valuable opportunity to learn. Weather is learning something new about acting and performance, an animation trick, or just simply better ways of communicating with people. Each one of those information exchanges is a learning experience that put me a bit closer and better prepared to reach my goal. There is still a long road to cover to get there and so much more to learn, but I believe I can get there if I keep working hard.